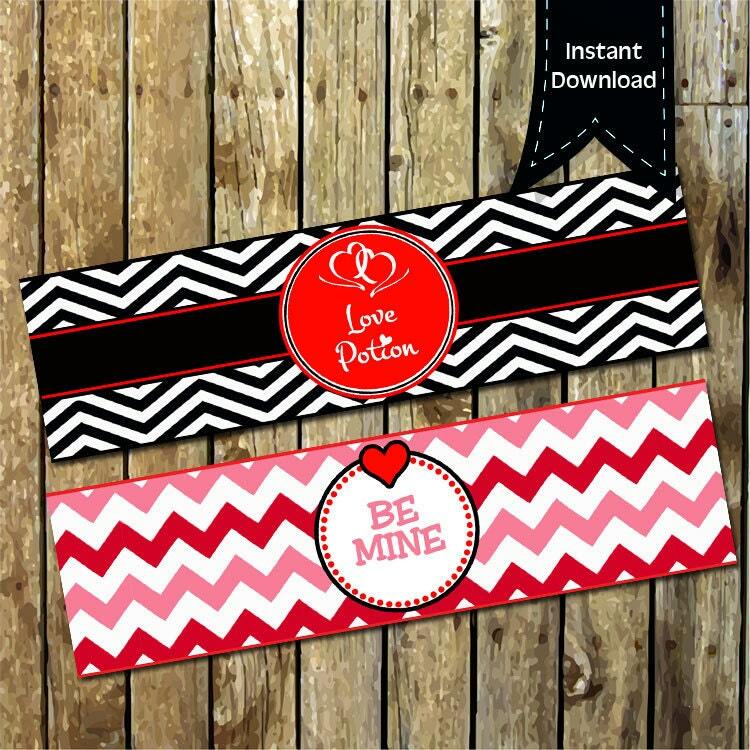 Make your Valentine's Day party extra sweet with these printable "Love Potion" and "Be Mine" water bottle labels. You will receive two high resolution PDF digital files, no physical item will be shipped. Finished size is 2" x 8 1/2" with 4 labels per page. Print as many as you like using 8 1/2" x 11" paper and adhesive of your choice, or for a more finished look, print on sticker paper found at your local craft or office supply store. Looking for a custom piece? Please contact me with your request and I will be happy to send you a quote!